Want to give someone a real lift this holiday season? 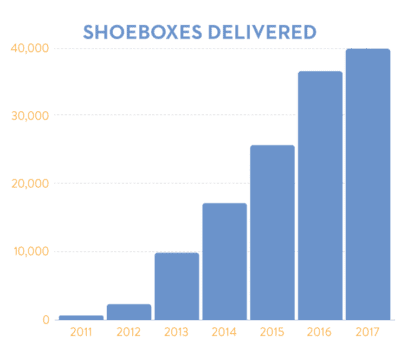 We love The Shoebox Project, which collects and distributes gift-filled shoeboxes to women impacted by homelessness in communities across Canada and the US. Each thoughtfully created and decorated shoebox is filled with items valued at $50 that can enhance self-esteem and reduce feelings of isolation for women in need. Host a Shoebox Party. Get together with some buds to assemble shoeboxes filled with luxury items for women in need. 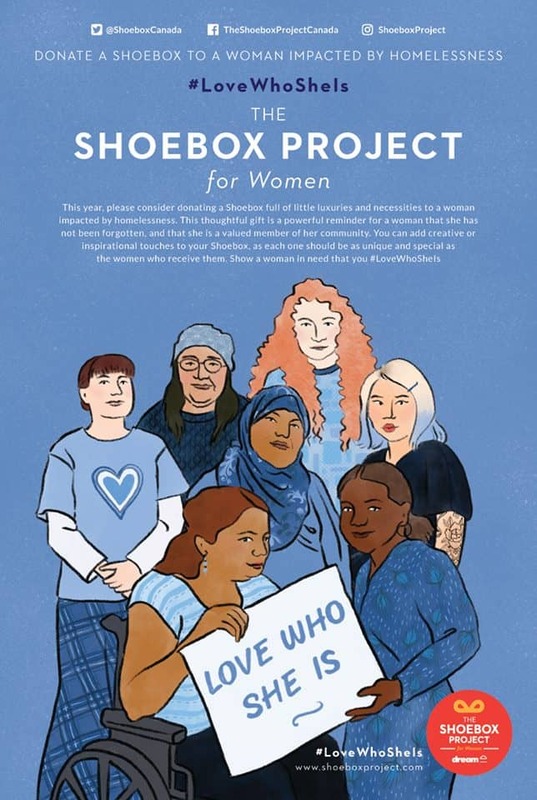 Take photos of your beautiful boxes and post, using the hashtag #ShoeboxProject and #LoveWhoSheIs to spread the word! Decorate your empty shoebox. Wrap the top and bottom of the shoebox separately. Don’t have an empty shoebox lying around? Consider picking up decorative boxes from a dollar store or craft store. Use good-quality paper and avoid using bows or intricate ribbon, as boxes are usually stacked on top of one another and undergo some degree of wear and tear during transport. Fill your shoebox. Each shoebox must be valued at approximately $50. Choose items that you’d like to receive. Think mitts, nut-free chocolate, multivitamins, body or hand lotion, mascara, gift cards and journals. Don’t forget to include a little note of encouragement for your recipient! Consider lining the shoebox with tissue paper first for a more polished, elegant look. 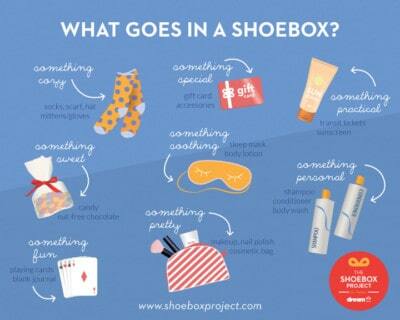 Toronto’s annual Shoebox Project drive runs until December 14th, so you’ve got a couple weeks to assemble your box. Click here to find the drop-off location nearest you.